It consumes as much energy as it creates: The NUS School of Design and Environment SDE4 building is designed to be climate responsive, energy efficient and environmentally friendly. It was officially launched on January 30th 2019. The architects are Serie Architects and Multiply Architects. 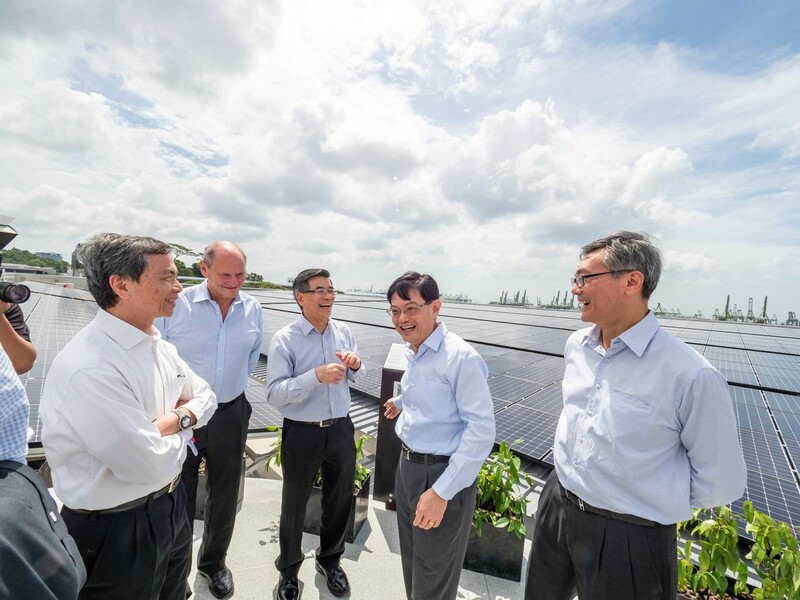 The photo shows SDE Dean Prof. Lam Khee Poh with Minister Heng Swee Keat and VIPs with the solar panels at the roof top.